We offer many camps every year and much of our programming is geared toward developing the following skill sets to be used at camp. The 3rd Guelph A Colony meets here at Harcourt each Wednesday evening from September to June at 6:45 PM. For more information on Beavers please email acjcja03@gmail.com. 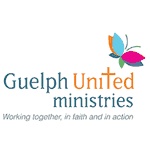 The 3rd Guelph A Pack meets here at Harcourt on Tuesday evenings from September through June at 6:45PM. For more information check out their pack website here. For more information on Cub Scouts please email achapman@execulink.com. The 3rd Guelph Scouts takes pride in delivering great, safe Scouting Adventures that excite and challenge youth. Through our Scouting program, youth expand their leadership skills and gain self-confidence. Discover the best in yourself and others, it all starts with Scouts! Our meetings run from September through until June each year. We meet here at Harcourt on Monday evenings rom 7:00 PM until 9:00 PM. For more information on Scouts please email 3guelphscouts@hotmail.com. You can register anytime for any of these groups by simply going to www.myscouts.ca and following the online instructions.